Earlier this week we reported that Samsung and LG will attempt to resolve their OLED technology patent disputes and settle the lawsuits outside of the courts. Now DisplaySearch posted an interesting article in which they speculate that the two Korean companies may cooperate on OLED TV technologies. Panasonic and Sony showed highly advanced OLED TV prototypes at CES, and so LG and Samsung have realized that their technology isn't really that far advanced compared to the Japanese companies. 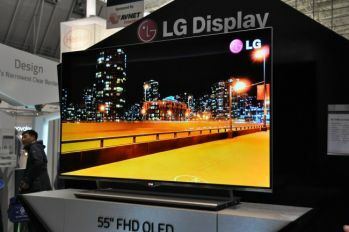 The Korean government may lean on the two companies to cooperate in order to keep Korea's leadership in the OLED market. Both companies are still struggling with production issues, and this may help them solve those problems and finally start mass production large sized OLED panels. So this is just speculation, it seems hard to believe that those bitter enemies will be able to cooperate on OLED technology, which is critical to both. But of course anything can happen.